General Dynamics (NYSE: GD) has concluded its approximately $9.7 billion acquisition of CSRA (NYSE: CSRA) in a push to establish a combined government information technology services contractor. CSRA will operate as part of General Dynamics’ IT business and will stop trading on the New York Stock Exchange as a result of the transaction, General Dynamics said Tuesday. 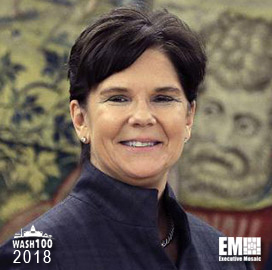 Phebe Novakovic, General Dynamics chairman and CEO and a 2018 Wash100 recipient, said the combination positions General Dynamics Information Technology to deliver IT platforms and services to the intelligence community, Defense Department and federal civilian agencies in support of their data system modernization efforts. General Dynamics originally offered to buy CSRA for $40.75 per share in cash, or approximately $6.8 billion, and assume the latter’s $2.8 billion in net debt in February but decided to increase its offer to $41.25 per share in cash a month later after CACI International (NYSE: CACI) proposed to acquire CSRA for approximately $7.2 billion in cash and stock, or $44.00 per share. General Dynamics expects the deal to be accretive to free cash flow per share and earnings per share in 2019 as well as realize annual pre-tax cost savings of approximately 2 percent of the combined entity’s revenue by 2020.